These instructions were initially written for my students, but I am now offering them to you. These instructions are intended for the intermediate or advanced weaver. Or, if you have concurred the European 4-In-1 then this will be a breeze for you! 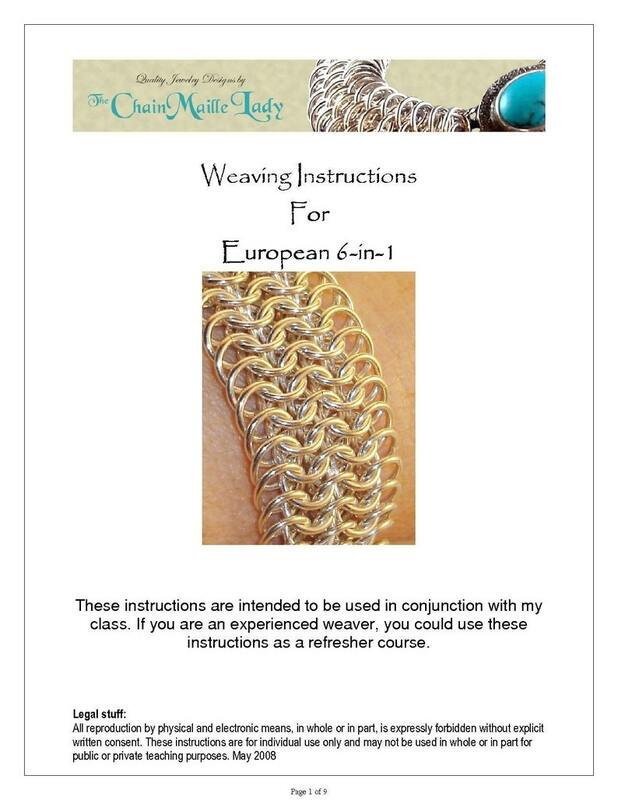 This listing is for the PDF Instructions on how to weave this gorgeous European 6-in-1 chainmaille bracelet. You will get a PDF file containing full color step by step instructions and a supplies list for the European 6-in-1 bracelet.